We believe a diverse and inclusive world is a better place for all. That’s why our diversity and inclusion initiatives reach across our business and connect to the communities we serve. As Canada’s largest diagnostics and digital health innovator, we honour and celebrate the diversity within our teams and communities. We are committed to inclusive practices, improving job accessibility and providing career development opportunities across every level of the organization. When different experiences and perspectives come together, you deliver better insights, decisions and solutions. It is our diverse teams that have made us stronger and are why LifeLabs is recognized as an industry leader. Building engaged, efficient, and high-functioning teams can be achieved through inclusive hiring and the net impact on all individuals is intangible. People with intellectual disabilities have a wealth of abilities and experience that they can bring to LifeLabs. When Rocky Mountain Analytical (RMA) reached out to the Vecova Centre for Disability Services and Research over 10 years ago for support, it created a team we affectionately refer to as “The Kitting Ladies”. For the past 10 years, Rocky Mountain Analytical (RMA) lab, a functional medicine testing laboratory owned and operated by LifeLabs, has championed inclusive hiring for those with different abilities. Every Tuesday and Thursday, the lab in Calgary is infused with joyfulness when RMA’s kitting team comes into work. 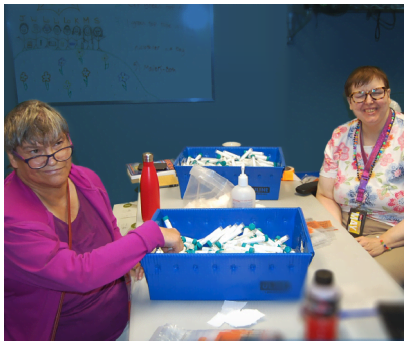 Fondly known as “the kitting ladies,” the group includes five enthusiastic members of the community who work together to pack over 6,000 testing kits per month. Led by 10-year veteran Wendy Hladik, the team consists of Lillian Melse, Loraine Luterbach, Lorna Enzie, and Jenny Hamilton. I am happy when working at RMA because of the people I work with, and I feel important because I know I am helping. Everyone has a different ability. Being able to celebrate and utilize these unique abilities opens up a world of possibility and promise for many. With 80% of our national employee base comprised of women, we are committed to supporting the career advancement and leadership of women. 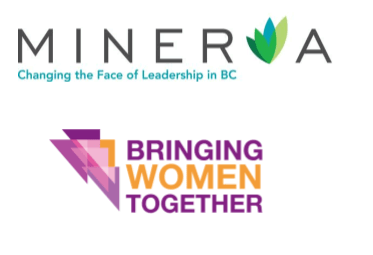 Underscoring this, we have made gender diversity an organizational priority and signed The Minerva Foundation’s Diversity Pledge in 2017. Together with numerous other community organizations including We for She and Bringing Women Together, we are proudly embedding gender equality across our organization.